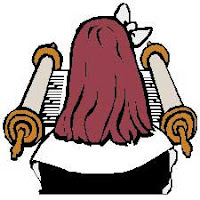 There was an article in The Jerusalem Post a few weeks ago announcing that the Hartman Institute has decided to start ordaining women as Orthodox rabbis (link). I did not comment on it initially because it seems like something was missing in that article. From what I read, the Hartman Institute is training men and women to be Jewish educators. That is nothing particularly controversial. However, at the end of the program they will be ordaining the participants as rabbis. Basically, according to the article, the institute seems to be just giving the title away without any training in the primary rabbinic role of ruling on halakhic issues. What I see is not that the women will also be rabbis but that not even the men will be. Click here to read moreAdditionally, the rabbis seem to be studying in a multi-denominational setting and learning from teachers of various denominations. It's hard to call that an Orthodox atmosphere. So is it really an Orthodox ordination? I find it hard to call it that. Again, that is just based on a single, confusing article so I don't think that anyone can draw any legitimate conclusions from it. I am not commenting on the institute or its program, but on the picture drawn in that single article. There is a new article now, this time in Slate (link), that I think makes an important point. The author complains that Orthodox women scholars cannot take positions of rabbi, even if they can take rabbi-like positions. I fully agree that this is a significant problem. See section IV of this post. The ordination or near-ordination of women will, in my opinion, inevitably lead to a state of employment inequality between men and women or force women to compromise on their religious values. The entire enterprise should, in my opinion, be abandoned. I found it surprising that the author of this article wrote that the female (non-ordained) scholar who took over the leadership of Prof. David Weiss Halivni's congregation will be performing the author's wedding. Prof. Halivni himself wrote in his article on the ordination of women that they may not perform weddings. See footnote 4 in this post and the Pischei Teshuvah, Even Ha-Ezer 49:2 about non-rabbis not being allowed to perform weddings. I mention this because I consider it an important precedent that should be explained and publicly halakhically defended.